Now it’s time for some reading tips for English proficiency exams! We gave speaking tips last week to help English learners who need to take an official English test. This week we are looking at the reading component of English exams. What do English reading tests include? English reading exams have a selection of reading texts with different types of questions. The first tip is to remember that the answers to the questions are in the texts provided, and test takers are not required to use knowledge about topics from outside of the text. English tests are designed to test your English skills, not your knowledge on, for example, technology, science or history! The question gives a list of possible options and you have to choose one or more correct answers. The question requires you to complete a gap in a sentence with the correct word or words. These types of questions state how many words, e.g. ONE WORD ONLY or NOT MORE THAN THREE WORDS and so on. These types of questions require you to match items with specific sections of the text. This can include matching headings or summaries to a specific paragraph, matching sentences endings or matching statements to a section of the text. The question requires English test takers to answer a question with a short answer, and not a whole sentence. These types of questions also state how many words, e.g. ONE OR TWO WORDS or NOT MORE THAN THREE WORDS and so on. In these questions, you have a sentence with a gap and are given a key word. You need to transform the key word so that it fits accurately into the sentence. E.g. Michael Jackson became __________ at a very young age. [FAME].In this case, you would write “famous”. For these types of questions, you are given one complete sentence. You also have another sentence with a gap and are given a key word. You have to fill this gap using the key word and other words so that the second sentence has a similar meaning. E.g. The film had already started when we arrived at the cinema. __________ we arrived at the cinema, the film had already started.In this case, you would write “By the time”. What does an English reading test assess? to understand implied meaning and inferences. You should learn in advance about the specific English proficiency test that you want to take (e.g. IELTS Academic or General, Cambridge English: Key (KEY), Preliminary (PET), First (FCE), Advanced (CAE), or Proficiency (CPE) and more. Read carefully to find out how many reading texts are included in the exam, how many questions to expect, whether the questions have different points, and how much time you have. This will help you to prepare for the reading component and to perform better on the day. You can find descriptions and examples of the reading test on the official examination website. There are also many free resources on other websites for English proficiency exam preparation. You can use English exam preparation materials, and practice tests to practise your reading skills. It is also a good idea to read other texts, such as newspapers, books, websites etc. to increase your reading speed and to develop your vocabulary. 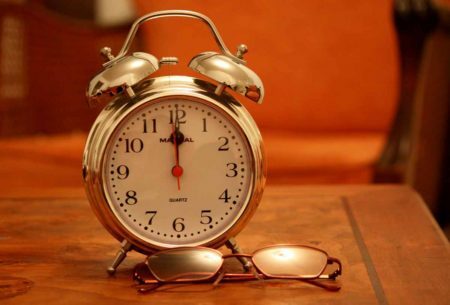 One of the most important reading tips for English proficiency exams is that you have to be careful with the time. There is a lot to read, and you need to be selective with how much time you spend on each section. This may sound obvious, but read the questions carefully. 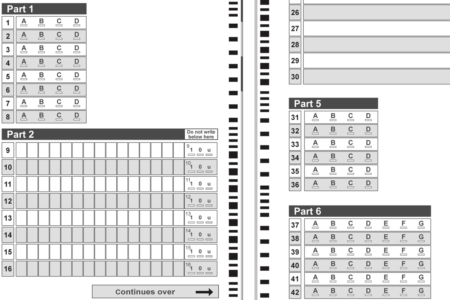 For example, some questions may be multiple choice and tell you to select two answers. If you only select one answers, you will score zero. 6. Read headlines and titles and start thinking! Headlines and titles can give you a good idea about the topic of the text and the content. This helps you to predict the content that you need to read. It can also be beneficial with time and enable you to understand the text quicker. You don’t need to read and understand every single word - think about how you read a text in your own language. It is better to read quickly to get a general idea of the whole text. Then you can read again in more detail to find the answers to the questions. Some English test takers find it useful to underline key information when they first read the text. This can help to remember the content and find the answers more quickly. Don’t read all the texts and then write all the answers. You may start to forget what you have read and it is possible to run out of time. We recommend that writing the answers on the answer sheet after reading each text will help to manage the time. 10. If you don’t know the answer, guess! In most English proficiency exams, you score points for getting the correct answer. You don’t lose marks for giving wrong answers. Therefore, if you do not know the answer, you can always guess. Sometimes, you can use logic to eliminate answers that are not correct, and then you can guess from the remaining options. The best way to improve your ability to score good results is to practise reading and developing your vocabulary. You will also be exposed to different styles or English writing and grammar. Reading tips for English proficiency exams include using practise tests for the English proficiency exam that you plan on taking. In addition, you can also read in your free time about topics that interest, e.g. the news and current affairs, sport, business, travel, music and more. You can even watch television and movies with English subtitles to increase your exposure to English. Remember that reading tests require you to have a good understanding of English vocabulary and grammar. So, you need to learn, develop and remember new skills. Speaking and writing activities require you to produce English, and this can be a valuable strategy to improve and retain new skills. What are the different English proficiency exams? 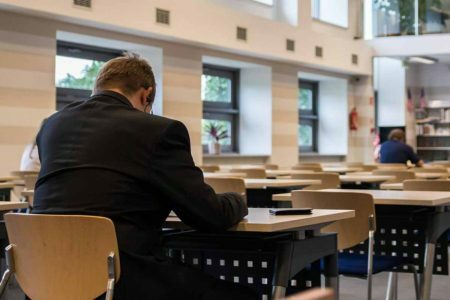 Please follow this link for explanations of the most well-known English proficiency exams, and recommendations for resources that you can use to prepare for each exam. We also have qualified English teachers in Munich and elsewhere in Germany, who can provide English exam preparation courses.